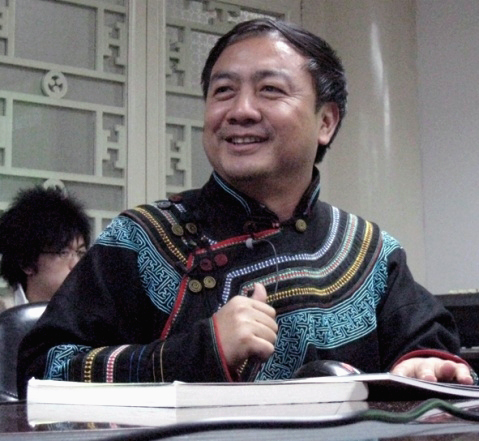 On our Silk Road website, http://silkroad.pacificu.edu/, we mentioned that we wanted to expand the conversation of the Yi people after publishing the poetry of Aku Wuwu of the Yi in Vol. 5.1. In the first of three posts in this blogging series we will begin with a photo dialog of Aku Wuwu and the Yi. 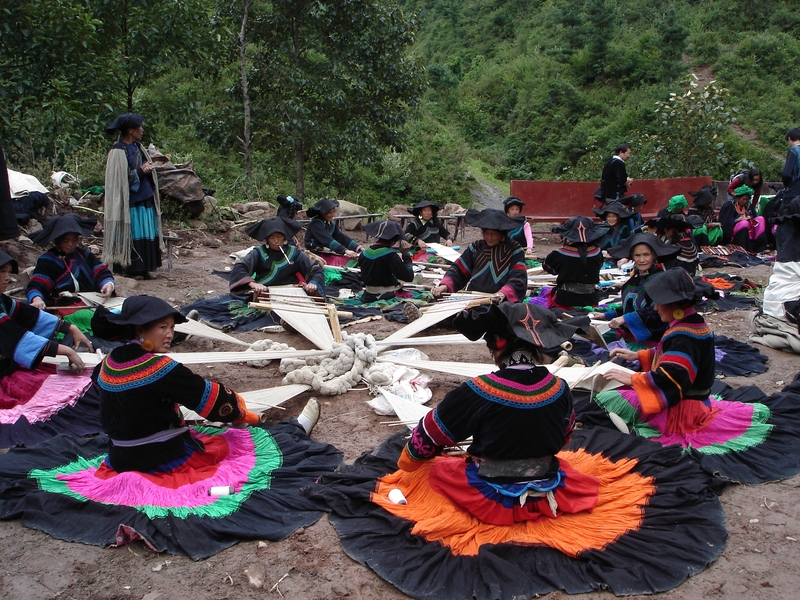 The Yi, indigenous to the mountain regions in Southwest China, are seeing their language fade as technology pervades their villages and young people leave to start lives in big cities. 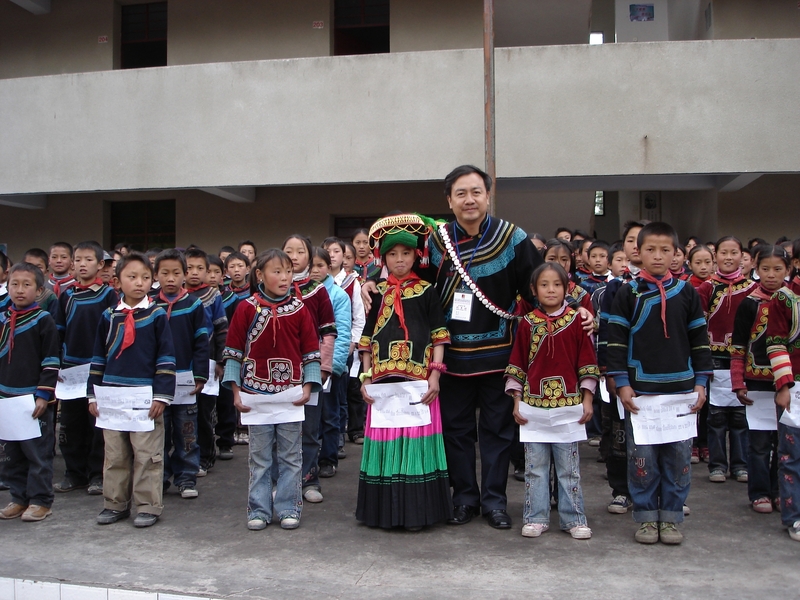 While many older Yi people are bilingual, their children are not. They speak Chinese as their first language, and if they are to learn a second language, it will most likely be English. Aku Wuwu says, “The Yi spirituality, lifestyle and ways of thinking are becoming irrelevant. If we cannot overcome this, we will die out of history.” He lives in what he describes as a state of “persistence in vanishing.” His Yi self and Chinese self each offer him different ways of seeing and succeeding, and he wishes to retain both. By writing poetry in his mother tongue, as he describes it, he is not only holding on to his Yi self. He is calling for a spiritual rebirth. 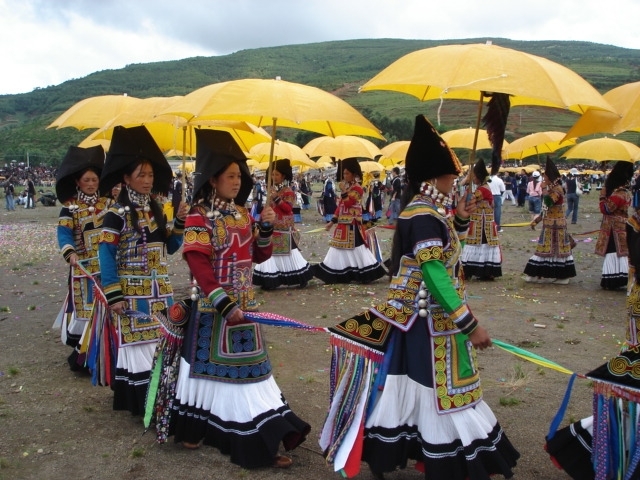 The Yi’s way of life, austere on the surface, is imaginatively rich and imbued with their animistic faith system. They worship the landscape within which they live: mountains, rocks, trees, water, sky, wind, animals and forests are all spirits. The Yi embrace magic as a means to heal and right one’s relationships with those spirits. Their calendar, like their language, is one of the oldest in continuous use on the planet. It is divided into five seasons represented by the five elements of earth, copper, fire, water and wood. Their written language, remnants of which date back to 6000 BCE, was formalized in the 13th century. It records in detail their beliefs. Aged religious leaders can sometimes still be seen along the village streets consulting their visually elegant texts. The written word is sacred. The spiritual world, inextricable from their land or the words they use, has always been part of the Yi.